Clay Cutters are used for slicing and cutting lump clay. They also cut pots and other items from the throwing head of the potter’s wheel. 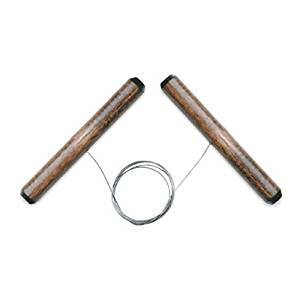 Hardwood 3″ toggle handles are firmly fastened to approximately 18″ of fine quality stainless steel for the K35, and high strength braided nylon cord for the K36.